The perfect gift, personalized for that special someone. 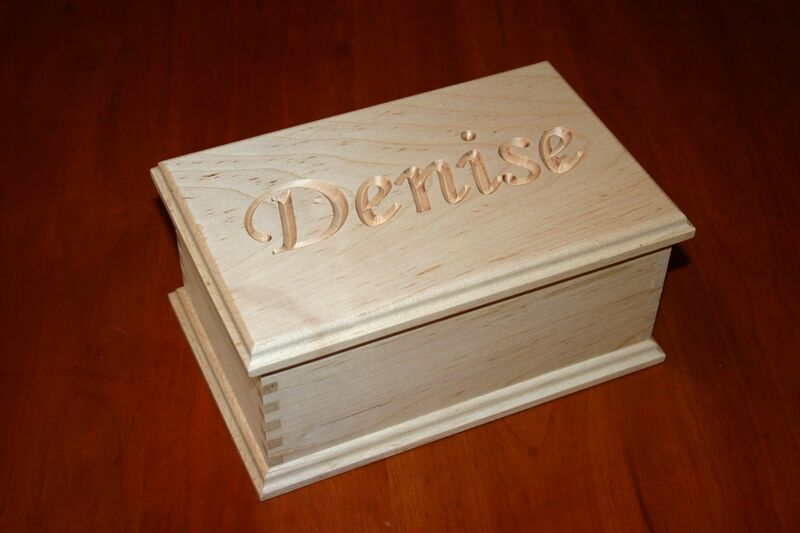 As shown, box is made of cherry, 8 1/8"w x 5 1/4"d x 3 3/8"h, unfinished. Lettering is Monotype Corsiva font. Your choice of size, wood, lettering font, and finish.